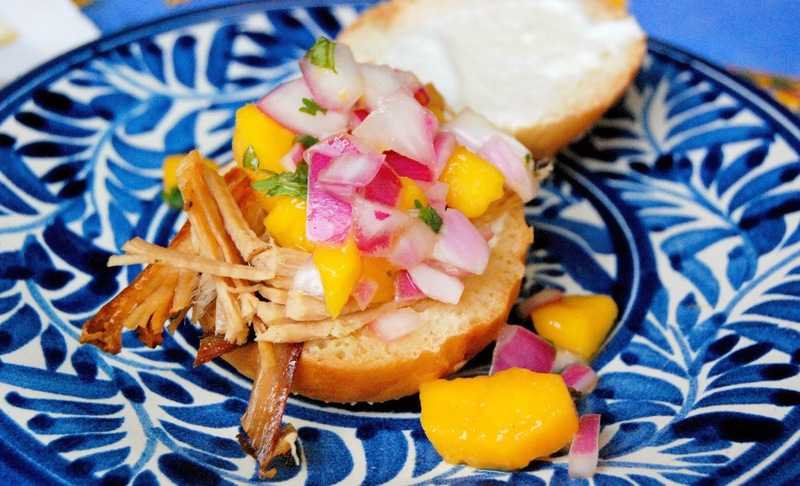 This sandwich has delicious flavors with both the mango and pork. 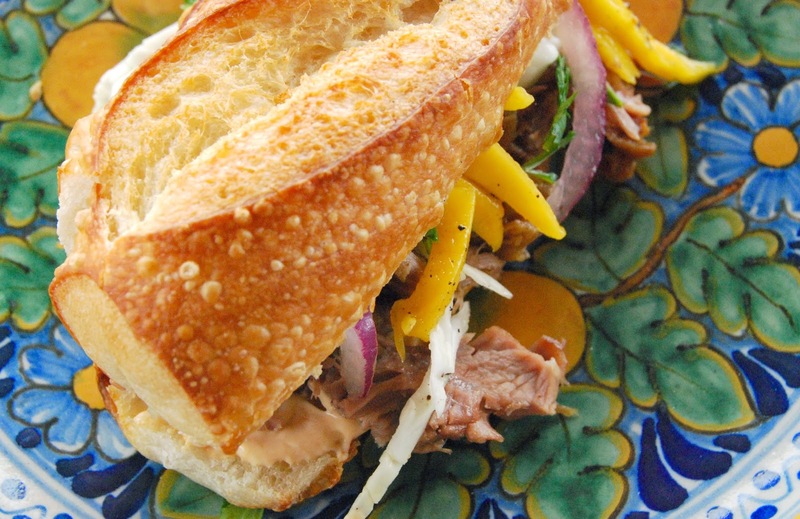 It's a great party sandwich to make for a crowd watching World Cup Soccer and cheering on your favorite team. I usually make mine from scratch and you can find a recipe here on my blog but Bautista Brother's sounded too easy and I was short on time. You can also do pork in a slow cooker but I miss the "perfect texture" if they are anything other than carnitas. Liz special ordered mini-buns from La Mesa Grande. I used MiVida's mini-baguette which is a little bit like a Bolillo only crunchy. I also added cabbage because I like the taste with pork. Be sure to slice your vegetables long instead of dicing them because of the length of the bread. Mix the Chipotle Cream Spread or just use plain yogurt like Liz did.